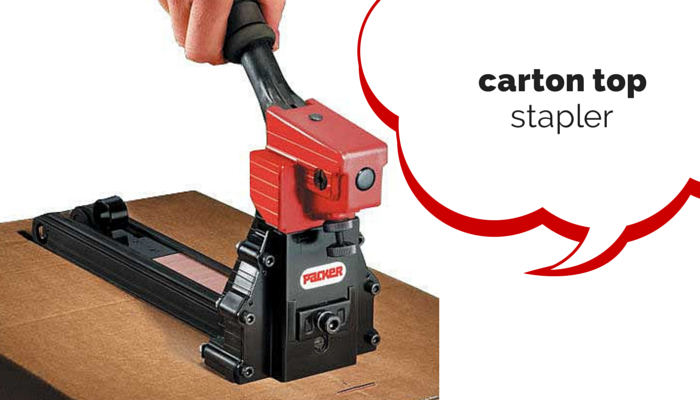 Carton staplers, also known as staple guns, are used across a wide range of industries including distribution and manufacturing, they are much stronger than your normal office stapler, they have to be, and are used for stapling cardboard boxes, wood and sometimes even carpet. So we are taking a closer look at the types available and what they do. The carton top stapler works by using a jaw like component which comes down and clinches the staple into the carton/box when you pull the lever. The manual staplers take a lot of pressure off your hands and arms by doing so and they are easy to use and load. 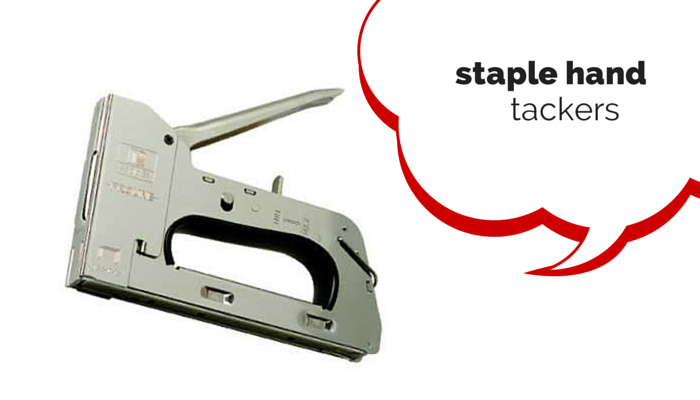 Most carton top staplers can take a range of stapler sizes, which you can easily adjust at the front before use. The carton top stapler is used in warehouses, factories, and stockrooms. 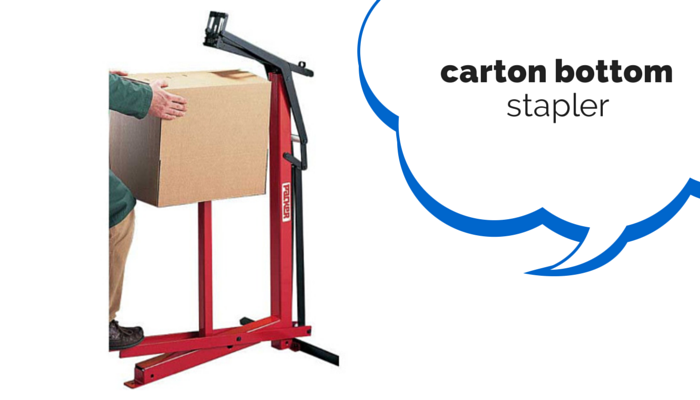 The carton bottom stapler uses a foot operated system, meaning that very little effort is needed to complete the task quickly and safely. Allowing you to secure the bottom of a box or carton before filling with goods is an essential part in any warehouse or distribution centre. This type of stapler, along with the carton top stapler will be used in environments for packing, storage and distribution. Stapling pliers are used to secure thicker materials than those you would find in an office, such as cardboard, fibreboard, leather and light plastics. These are designed as an aide in a busy warehouse or factory setting to staple difficult cartons that would otherwise need larger staple guns. This means that it can increase productivity and reduce costs and time. It is worth noting which staples the pliers can use, if you require more than one size of stapler to be used at any one time it may be worth investing in a couple to reduce time changing the staples over. 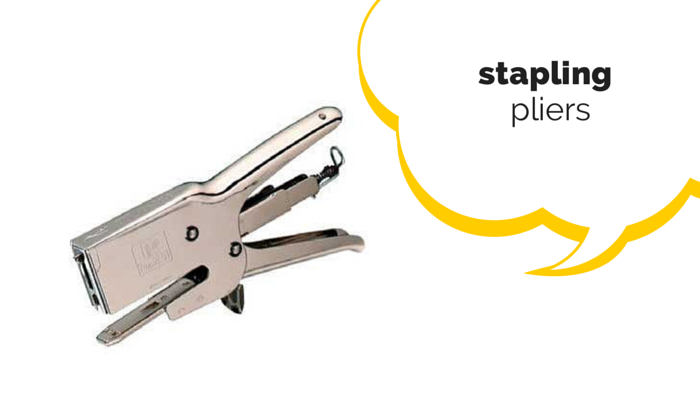 Staple hand tackers are a common sight in offices, homes, and schools up and down the country, giving an easier and cleaner staple to flat surfaces such as walls, floors and table tops. Because they are made of an all metal construction they are incredibly durable and will last you a long time to come. Of course with all equipment there are accessories, so we are taking a quick look at carton stapler accessories that make your life a little bit easier. Obviously a stapler is useless without the staples, they come in a huge range of sizes, materials and strength, but make sure that you double check the size you need for your stapler before purchasing, as this can cause damage to your staple gun over time. For when you make mistakes or need to re-adjust anything you have stapled, the humble staple remover is your best aid, taking the strain off your hand and wrist if you were to remove it manually.